A visit to Handa Island is a must for bird watchers as the island is home to some of the most important colonies of nesting sea-birds. Ten miles north of Kylesku is the little crofting community of Scourie, sitting above a sandy bay. 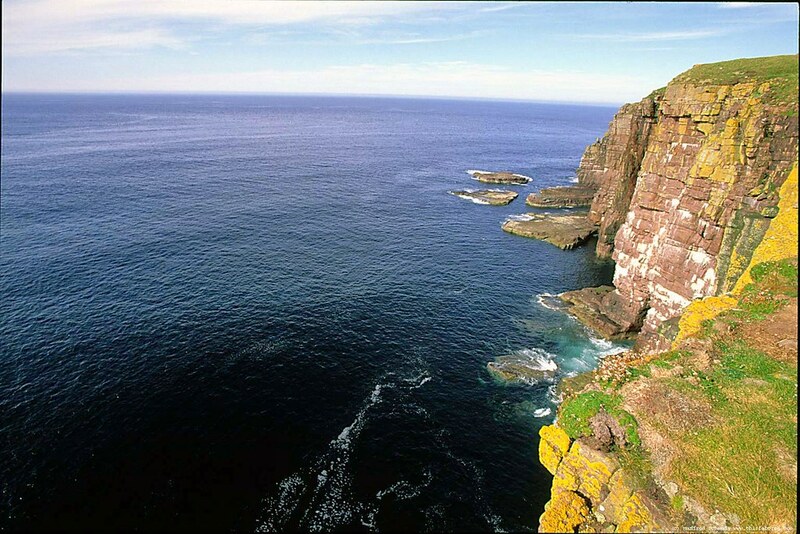 Anyone remotely interested in wildlife is strongly advised to make a stop here to visit Handa Island, a sea bird reserve run by the Scottish Wildlife Trust, and one of the best places in the country for bird life. The island is now deserted, except for the warden, but once supported a thriving community of crofters, until the potato famine of 1846 forced them to leave, most emigrating to Canada's Cape Breton. 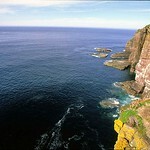 Now it's home to huge colonies of shags, fulmars, razorbills, guillemots and puffins. The best time to visit is during the summer breeding season, from late May to August. There's a footpath right round the island, which is detailed in the free SWT leaflet available at the warden's office when you arrive. You should allow three to four hours. There's a ferry service to the island from Tarbet Beach, three miles northwest off the A894, about three miles north of Scourie. It sails continuously, depending on demand. Info - Apr-Sep Mon-Sat 0930-1700. It's a 15-min crossing. Tel. (0)1971502077. For bookings contact Julian Pearce, who also runs the wonderful Seafood Restaurant (facebook page) (mid-range) just above the jetty at Tarbet. If you're up this way, don't miss a visit to this restaurant which serves seafood caught by Julian during his boat trips! It's a great place and you can even stay here, in the self-catering caravan next door, which sleeps up to six. There's a Postbus service to Scourie from Durness and Lairg once a day, Mon-Sat. It leaves Durness at 0820 and arrives at 0935 and continues to Lairg. It returns at 1245 and arrives at 1420. There's also a Postbus service between Scourie and Elphin, with connections to Lochinver. 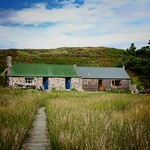 There is lots of accommodation in and around Scourie. 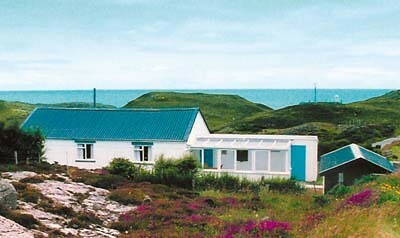 Best of all is the Eddrachilles Hotel, a few miles south in Badcall Bay, Tel. (0)1971 502080, 11 rooms, open Mar-Oct, this is one of the most magnificently situated hotels in the country. The 200 year-old building stands in 300 acres of grounds overlooking the bay, the food on offer is superb, though the atmosphere is a little stuffy (their Eddrachilles heel, you might say). Another excellent place to eat is the Scourie Hotel, Tel. (0)1971 502396, www.scourie-hotel.co.uk, open 1 Apr-mid-Oct, a 17th-century former coaching inn popular with anglers (lunch mid-range; dinner expensive). 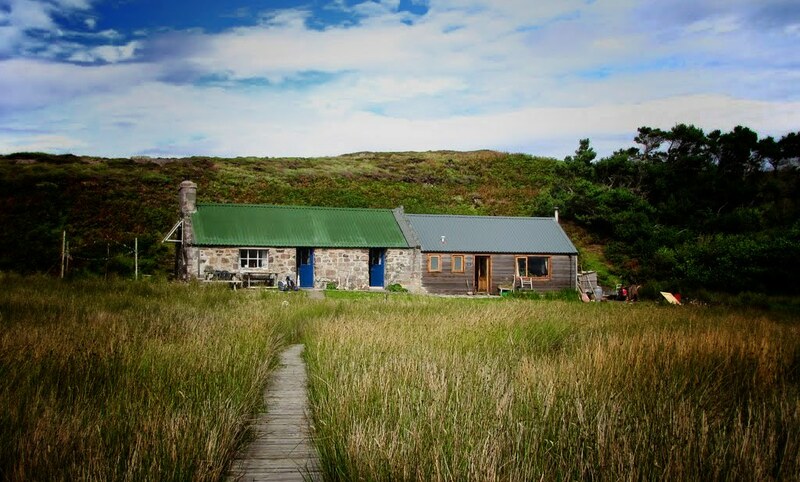 There are several B&Bs in the village, but none better than the welcoming Scourie Lodge, Tel. 01971 502248, open Mar-Oct, which also does good evening meals. There's a campsite, Tel. 01971 502060, on Harbour Rd.